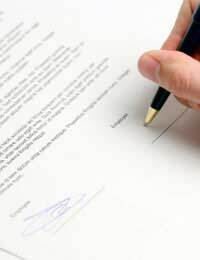 If you are in breach of contract, or are on the receiving end of a breach of contract, you may be able to settle the dispute by way of mediation or arbitration. In the first instance, though, you need to check the terms of the contract to see whether mediation or arbitration is expressly mentioned. If it is, there may be provisions in the contract that explain what each party needs to do in the event of a dispute. Before you decide whether alternative dispute resolution (or ADR) is right for your particular problem, you will need to consider the differences between the different types of ADR and the potential outcomes that can be achieved. Arbitration is the most well known form of private dispute resolution. The outcome of any arbitration is binding. The decision to resolve your dispute is made by a third party – the arbitrator. If you have an arbitration clause in your contract it could be that you are both expected to try to agree on a suitable arbitrator to conduct your arbitration. Depending on how lengthy or complex your contract is, there may already be provisions relating to how many arbitrators need to be chosen, and how an expert would be appointed, if necessary. Arbitration is seen as an alternative to court, because there are rules for elements of the process such as disclosure and evidence. It can avoid the stress and expense of having to go to court, but there are still costs involved. Some arbitration procedures can be paper-based only, which means that you don’t actually have to attend a hearing or meeting. Mediation can be carried out at any part of an arbitration process or by itself. This means that you can put any existing arbitration on hold until you have carried out mediation. The mediator’s function is essentially to establish what the dispute is about, where both parties stand currently, and work out what is important to each side. Priority will be given to the most important areas that need resolution. Once these have been established, the mediator identifies areas where both parties overlap in order to help both sides to reach a compromise. Their role extends further than this, however. They can also propose areas for discussion that were not previously part of the original dispute, and make suggestions about alternative solutions. If you are unable to come to an agreement via mediation, you can always go to arbitration or resort to litigation. Unless you can prove your husband's brother made an agreement, you have little recourse. Emails, texts etc may help if they contain evidence of this promise, otherwise it remains your word against his. It's very easy for him to say you both merely lent him the deposit and he promised to pay this back - you would have to show otherwise to have any case to answer. @Pubman - surely if he's a freeholder he shouldn't have to pay rent? I have a problem with a free hold pub tenant. He has been under a forfeiture notice which has now lapsed so the rent has been demanded by means of an invoice. He is more that 30 days and had not replied or acknowledged the demand. What are the consequences of sending in the bairlifts and repossessing the property.